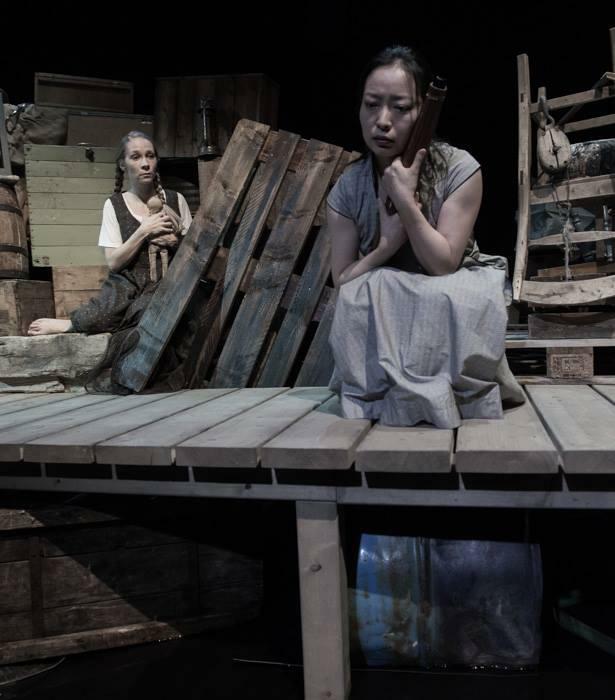 Director Phillip Zarilli on the links between his performance of Ota Shogo's "Slow Theatre" play and the European refugee crisis. 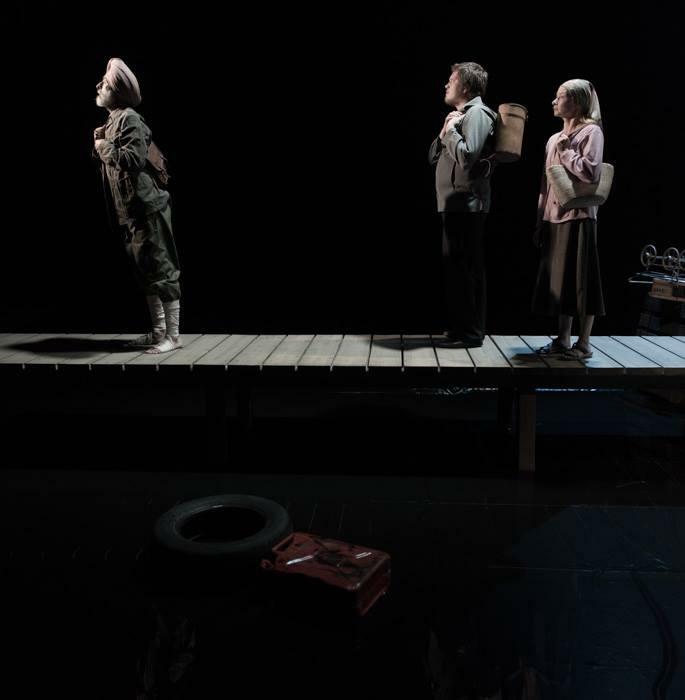 Three years ago when Birgitte Strid, Artistic Director at Nordland, invited me to direct the first major production of The Water Station with an international cast since the 2004 production I directed in Singapore, we had no idea that at this specific moment in time there would be thousands of people on the move around the perimeter of the Mediterranean and across Europe. The Water Station has a very simple structure: in nine scenes a series refugees/migrants/travellers are on the move coming from a far distant place, and are continuing on the still longer journey toward some place beyond. Some are individuals traveling alone such as The Girl in Scene 1 or the Woman with a Parasol in Scene 3; others are in pairs (Two Men in Scene 2 or Husband and Wife with Baby Carriage in Scene 4); or in a group (The Caravan in Scene 6). They appear along a pathway. Just behind the pathway is a huge heap of discarded ’junk’—objects left by those on this long journey. Once they appear along the pathway, each individual, pair or group encounters and interacts with a constantly running stream of water flowing from a broken water faucet into a pool of water in a catchment area. Each of the travellers encounters the water in their own way. Some observe or encounter another traveler. All eventually continue their journey toward whatever lies beyond. From the audience’s perspective, where these travellers have come from and where they are going we do not know. They eventually pass out of view…heading somewhere. The themes, scenography and style of [Ōta’s] theatre can be related to these childhood memories. His intense concern with the ontology of human existence can be traced back to the need for sheer survival in his early childhood. A sense of the hardship of living and of the proximity of death characterizes his plays. 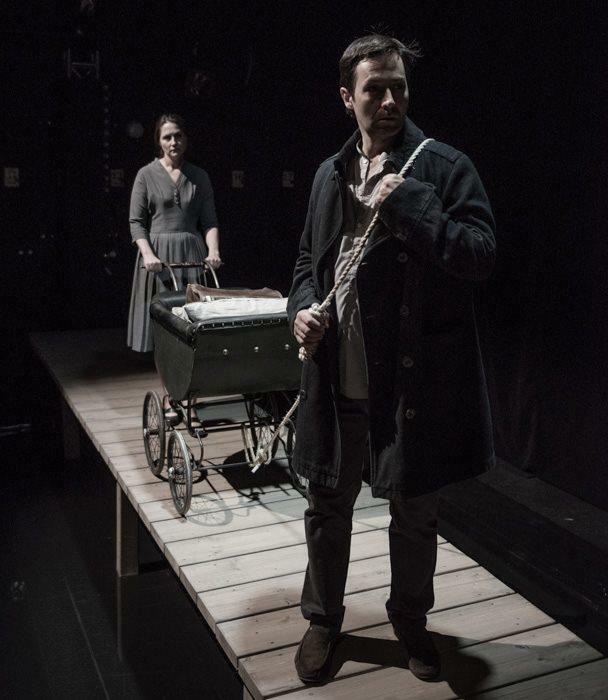 Wide, bare landscapes through which characters travel, carrying their scanty belongings, provide the setting of all…of his Station plays written between 1981 and 1998 …The weak, disabled, and unwanted are featured in many of his plays.